New Hyde Park, Long Island, NY (December 31, 2018) – A fire that broke out at a home in the early morning hours on Sunday, December 30, and tragically claimed the lives of a 4-year-old girl and her grandmother has been ruled an accident. The fire occurred at around 3:00 a.m. at a home on North 12th Street in New Hyde Park. According to authorities, two grandparents and their grandchildren, ages 4 and 10, were the four people who were in the house when the fire started. The children were reported to have been staying with their grandparents while their parents were out of town. The deadly fire started due to an unattended candle and the fact that there were no working smoke detectors in the home. 4-year-old Brooke Schillizzi and her grandmother, 68-year-old Maria Karpinski were both killed in the fire. The other grandchild, an unidentified 10-year-old boy, as well as his grandfather, made it out of the house. The boy was reported to have jumped from a second-story window onto the roof of a vehicle in order to escape the flames. The boy rushed to a neighbor’s house to get help. No further information has been made available at this time. We would first like to offer our sincere condolences and our warmest thoughts and prayers to the loved ones of both Brook Schillizzi and Maria Karpinski during this devastating time. We also like extend our gratitude to all of the New York firefighters who risk their lives each and every day. Tragically, many fires in New York are fatal or at least seriously injurious as they are among one of the most harrowing situations that anyone may encounter. Following such a harrowing event, it is very important to understand that you may have the right to be compensated for your losses, particularly if your suffering was caused by another person’s negligence. At Hach & Rose, we understand that there is nothing as devastating as the sudden loss of a loved one, especially a child, and we are here for you 24/7 to answer any questions you may have. 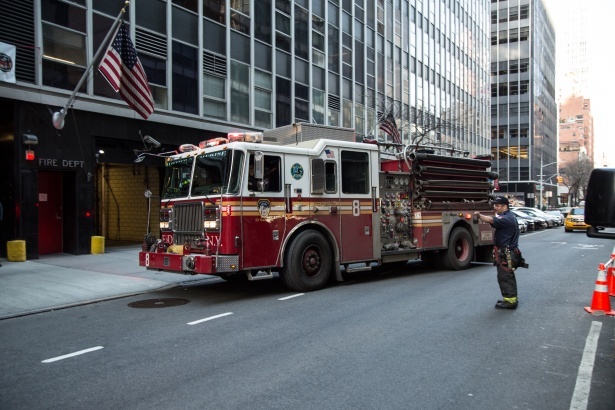 If you have lost a loved one in a New York fire or explosion, call 212-779-0057 today.